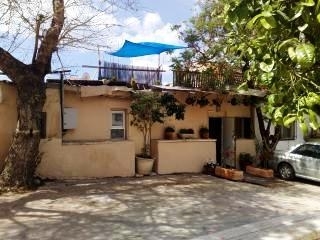 Yechieli 3-Neve Tzedek: just minutes from beach! Close to Tel Aviv beach, popular restaurants, shopping options, and near the city bus lines. The apartment located just in the susan dall yard the street name is Yechieli 3. Its 2.5 rooms (living room, full bedroom with queen size bed, Full kitchen, 1/2 room with single bed and amazing private roof). It's just minutes away from the sands of Tel Aviv beach, popular restaurants, shopping options, and near the city bus lines. The apartment located in a peaceful and quiet street. We can also offer an extra bed and extra mattress! We provide bedding, towels, and a weekly cleaning service.